Once called the Place de Nègres, Congo Square fostered the growth of jazz and modern dance, while boosting the local economy. 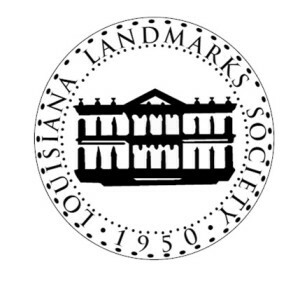 Nestled at the foot of the New Orleans Municipal Auditorium on Rampart Street, just outside the French Quarter, the Square is an iconic component of the city. This insightful examination details the history of the area from its roots in the French Colonial period to the present day. This comprehensive history traces the quest for a peaceable and lawful revolution, from Britain’s Glorious Revolution to Canada’s current situation, with a special emphasis on the constitutional questions raised by the American Civil War. At last! It’s time for the annual Texas State Fair, and young Jake knows exactly what he wants to do first. He passes up all the other booths to buy his favorite treat—a cone of sweet and puffy cotton candy. Young readers will enjoy Jake’s comic misadventure, set among landmarks like the Cotton Bowl and the Texas Star, America’s tallest Ferris wheel. Hardcover. In this reworking of the classic The Night Before Christmas, a twist of country flair is added, making Santa’s appearance as grand as any Nashville show. Plastic wreaths and aluminum trees, along with a backdrop of neighborhood houses ablaze with lights, electric angels, and snowmen, set the stage for an entrance unlike any other. Hardcover. Darina Allen runs the world-renowned cooking school at Ballymaloe, Ireland, with her husband, Chef Allen. Winner of the 2001 Veuve Clicquot Irish Businesswoman of the Year Award, Darina Allen lectures and travels extensively. She is also Ireland’s most famous cooking-show host, having presented nine series of her program, Simply Delicious, on television around the world. As a cookbook writer, Darina Allen has won the Langhe Ceretto-SEI Prize and was short-listed for the IACP Julia Child Awards. Other Pelican books that celebrate the cuisine of Ballymaloe are A Simply Delicious Irish Christmas by Darina Allen and The Ballymaloe Bread Book (pb original) by Chef Allen. 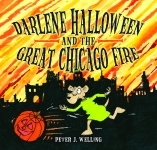 In a pumpkin patch in south Chicago, a family of field mice is captured as main ingredients for a witch’s brew. When they fight back, the mayhem they cause results in the Great Chicago Fire—and the defeat of the last witch in the city. From the Boston Tea Party in 1773 to the first reading of the Declaration of Independence in Philadelphia in 1776, this comprehensive alphabet book follows the citizens of the Thirteen Colonies as they fight for representation. During the 1700s, greed ruled King George III of England, and he thought he could tax the Colonists on anything. As a result, they rebelled by forming their own government. Featuring C for Continental Congress, I for Independence, and R for Revolution, this historical children’s book infuses readers with patriotism and awe. Den of Misery: Indiana’s Civil War Prison details the cover-ups and denials as well as the cruel realities of the prison camp and chronicles the efforts by Confederate veterans to make known the truth about their experiences. The author includes a full list of prisoners who died at Camp Morton and are buried in a mass grave in Indianapolis. The Derby itself has been dreamlike in its history. After nearly fading into oblivion at the turn of the century, the Kentucky Derby has grown into a national cultural institution and the premier annual horse race in America, if not the world. The stories about this great race and its participants have grown through the years. They have evolved into both heroic epics and much-maligned tragedies. Hardcover. Each spring as the Kentucky Derby grows near, a kind of frenzy hits a wide section of the population. People suddenly turn their attention to Churchill Downs, and the anticipation of the Run for the Roses sends everyone into “Derby fever.” Here in his third book on the Kentucky Derby, Jim Bolus brings together a collection of his favorite Derby stories that are sure to make an avid race fan out of anyone. There is no one more knowledgeable about the Kentucky Derby than Jim Bolus. He is Kentucky Derby Curator of the Kentucky Derby Museum, which is located on the grounds of Churchill Downs in Louisville, Kentucky. When carnival time rolls around, these big beasts begin to party. Notoceratops swings and swoons, while Spinosaurus taps his blue suede shoes and Brachiosaurus tosses colorful beads to the crowd below. From Lee Circle to Canal Street, follow these crazy creatures as they boogie down the parade route. Clever rhymes and repetition allow children to sing along to that mambo beat. A glossary, along with instructions for creating a shoebox Mardi Gras float, complete this vibrantly-illustrated book of festive fun. Take a trip across miles of salty seawater in the entertaining and informative children’s book Discovering Pirates. Part nonfiction, part poetry, and plenty of fun, Discovering Pirates takes young readers on a wave of adventure from the Mediterranean Sea into the tropical waters of the Caribbean. In this lavishly illustrated children’s book, one can find a world of riches, discovery, and excitement. Hardcover. Where in the world can children hear jazz, gospel, blues, and Cajun music? Where can they eat foods like shrimp po’ boys and strawberry snowballs? Where can they buy handmade crafts and see performances of all kinds by people of all ages? They can do all of this and more only at Jazz Fest in New Orleans! Hardcover. Every child loves the fun and excitement of wearing costumes and pretending. Now imagine if you got the chance to dress up and ride in a Mardi Gras parade. That is exactly what happens to the main character in D.J. and the Zulu Parade. Hardcover. Stuck inside their small stable one very rainy afternoon, two little donkeys listen to a story their grandfather tells them, a story that they will always carry in their hearts. Years ago, when the grandfather was still a young donkey, he was called to serve a man named Jesus.